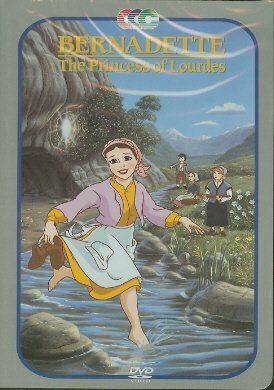 This film gives a lively and inspiring account of the apparitions of Our Lady to the child Bernadette at Lourdes in 1854. It brings out the trials and misunderstandings that Bernadette faced, the important messages of Our Lady, and the miracle she performed at Lourdes. This video, which will be a great treat for young people, runs for 30 minutes, and may be purchased from the Rosary Center for $12.00. (DVD) Soundtrack is English only.